November’s Board of Education election for Moorestown Public Schools will be a contested one, as five candidates filed to run for the board’s three open full-term seats and two candidates are running for the one open seat to fill a two-year unexpired term, according to the Burlington County clerk’s office. Those running for the full-year seats include incumbents Kathy Goldenberg, Dimitri Schneiberg and Sandra Alberti, and two challengers, Christian Cramer and Maurice “Mick” Weeks, III. Those running for the unexpired seat include incumbents Dimitri Schneiberg and challenger Maurice “Mick” Weeks, III. 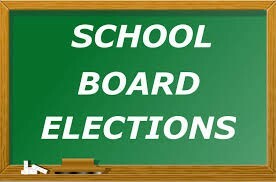 The Moorestown Public Schools Board of Education election will take place alongside the general election on Tuesday, Nov. 8. To find out more about the election visit http://www.co.burlington.nj.us/DocumentCenter/View/3650.